Temperatures are on the climb again and we'll make our way back into the 70s to end the week. A cold front this weekend will hang out around the ArkLaTex ushering in cooler weather and by early next week it will be downright chilly. Rain chances stay low through Sunday with more widespread rains holding off until the start of next week. Expect an increase in the clouds tonight. Temperatures won’t fall as much as they did last night...only dipping into the mid to upper 40s in most areas. Tomorrow looks warm and windy. We’ll start off Valentine’s Day with some clouds, but expect to pick up a little afternoon sunshine. 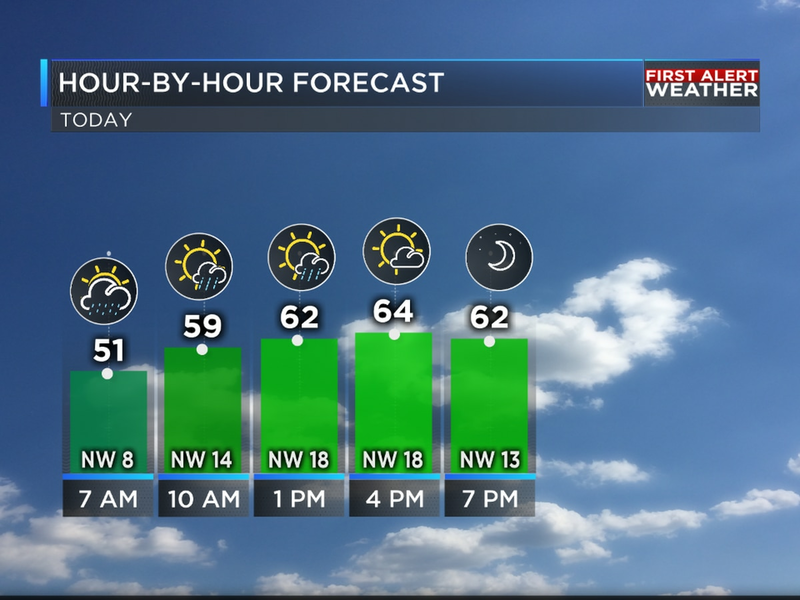 Temperatures will warm into the low 70s as southwest winds increase to 15-25 mph. Our next cold front will near the ArkLaTex on Friday. Skies will be mostly cloudy but rain chances look low. Temperatures will be back in the low to mid 70s. Over the weekend the front will be hanging around the ArkLaTex bringing in slightly cooler air. Highs will still be in the 60s for most of us on Saturday. By Sunday temperatures will come down a little more with highs in the 50s to low 60s. A few showers are possible, but rain should remain spotty and light. Colder air will build in for early next week. Highs the first half of the week will run mainly in the 40s. Expect to see rain developing on Monday. It will stay steady through Tuesday. More showers are likely off and on Wednesday through Friday. Temperatures will warm back into the 50s toward the end of the week.